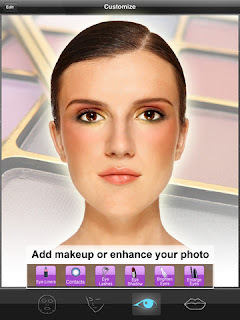 Developer Quote: "With one click, Perfect365 HD turns mediocre portraits into something you are proud to share. " Like many people, you probably have several different social networks to which you are subscribed. I don't know about you, but I get pretty bored looking at my same old pic, time and again. Luckily, with all the photo effects apps available, I can sometimes use the same original photo, but just change background, colors, effects to create a refreshing variation! Then, of course, there's always the vanity issue whereby you or friends just don't like the way you or they appear in photos. Maybe the hair is messed up, teeth not white enough, too many spots or wrinkles? Well, I've certainly been there, felt that way on numerous occasions. 9 out of 10 of my photos get discarded because I'm too critical. - One-Touch Touchup and Makeup - One-touch preset cleanup and style templates. - Instant Facial Recognition - ArcSoft’s algorithm provides for accurate facial mapping instantly. - Cleanup Features - Clear blemishes and under-eye circles, soften skin, and whiten teeth. 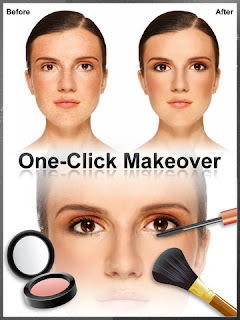 - Makeup Tools – Use our makeup tools for that custom look; Adjust for color and intensity. - Enhancement Features - Improve a smile, bridge and nose (T-Zone), and lift your cheeks. - Unlimited Creativity - Settings are adjustable allowing for unlimited looks and styles. - Customize Key Points - Adjust key points for tilted and off-centered profiles. - Before and After Comparison - Easily review before and after effects. - Save Looks - Save your favorite looks for sharing and comparison. - Built-In Sharing - Share directly to Facebook, Twitter, and Flickr. What is so great about this app is that time need not be your enemy any more. When you are snapping a pic for that special someone and have no time to create that look of perfection, use Perfect365 HD to make your eyes or lips sparkle with color. What pleasantly surprised me, however, was the Smile Deepen and Eye Enlarge features. My half-smile became a very happy and purely realistic full smile, while my eyes were opened wider. All of this was done to look very realistic and with sliders to control how much you adjust. Your appearance comes out looking very natural which you can easily proof by checking the Before and After comparison screens. Choose a template that suits your mood and you're off to a highly polished, super attractive new you! COOL CONCLUSION: "Perfect365 HD adds a touch of sophisticated glamour to your appearance in all the right places with a simple touch."